Scravings: "Thank you for sharing your son." "Thank you for sharing your son." On our answering machine this evening, we discovered a message left by a man with a soothing Texas drawl. He said he was the bishop in College Station and that he had a picture to share with us. 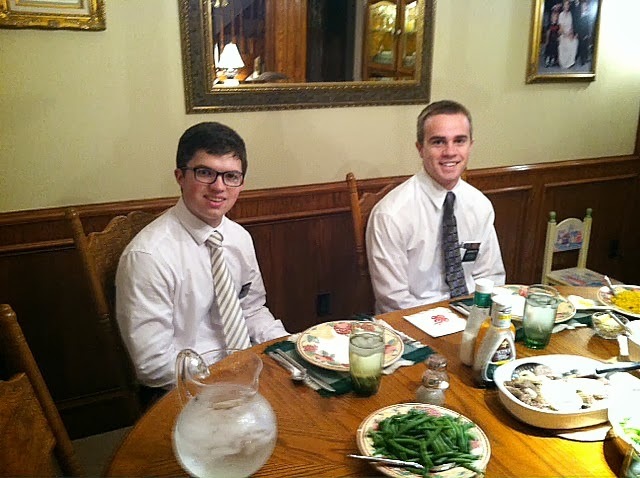 I called him back immediately and he said that the missionaries recently ate dinner at his home. "Your son taught a lesson that evening and I'm impressed with him. He's a wonderful elder, working hard here in Texas, and he's a blessing to our ward. 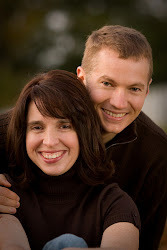 I just wanted to call and thank you for sharing him with us." And this phone call also inspired me to take more pictures of our local missionaries and let their parents know that they're doing them proud. I have a feeling it just might make their day.